If you aren’t quite familiar with Opportunity Zones, we hope that this definitive guide will help you. Below, we’ll share some of the essential information you need to better understand Qualified Opportunity Zones when it comes to real estate investing. An Opportunity Zone is a new tax-based incentive established by Congress that was part of the 2017 Tax Act. The incentive was established to encourage long-term investments in low-income urban, suburban, and rural communities throughout the nation. Each O-Zone is a selected census tract selected by the state and federal governments for economic development. These areas are typically distressed due to closed industries, demographic changes, or other economic conditions and have a high need — as well as a high potential — for revitalization. The idea of O-Zones was created by tech billionaire Sean Parker, the former President of Facebook and Creator of Napster. In 2013, Parker enlisted powerful allies and formed the Economic Innovation Group (EIG)—a Washington think tank to help him press the policy into law. The group plans to tap into an estimated $3.8 trillion of unrealized capital gains sitting in households across the U.S., with another $2.3 trillion accounted for U.S. corporations. The goal behind this idea is to create the largest federal community development initiative in memory. Last March was the deadline for state governors to select up to 25 percent of their states eligible low-income census tracts to become Opportunity Zones. The designation stays in place for ten years and cannot be modified after initial designation. The selection stays in place for 10 years and cannot be modified after the initial designation. Where Are Opportunity Zones Located? Currently, there are roughly 8,700 Opportunity Zones throughout the United States, about 11 percent of all census tracts. These o-zones are considered home to over 30 million people. You can find “low-income communities”, or LICs, tracts that have been designated as O-Zones in every state. To view a complete list of O-Zone locations, click here. There are a variety of benefits to investing in real estate properties in general, including tax benefits. If you’re interested in learning more about real estate investment tax benefits, read our Definitive Tax Guide For Real Estate Investors. Investing in real estate through the Opportunity Zone program, on the other hand, adds on to these benefits. 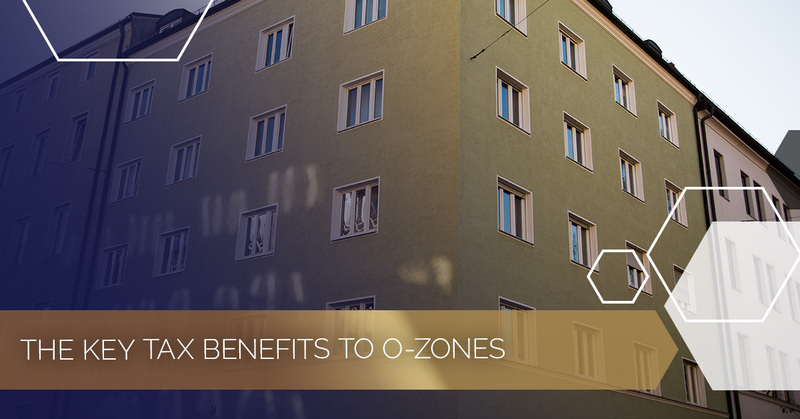 The O-Zone provisions were established with the intention to get taxpayers to sell some of their appreciated assets and invest the resulting gain in designated low-income communities. This is done by delaying the tax on the sale of the asset that they sold to make the investment, that taxpayers would otherwise pay, and eliminating the tax on the increasing value of their O-Zone investment. One benefit real estate investors can enjoy is a deferral of inclusion in taxable income. An investor can delay paying tax on capital gains by as much as eight years where an amount equal to this gain is reinvested in an Opportunity Fund within the 180-day period that begins with the sale or exchange that generated the gain. Additionally, the deferred gain must be recognized before the opportunity zone investment is disposed of or before December 31, 2026 — or the date you sell or exchange the investment, if earlier. Keep in mind, this benefit only applies to cash investments that correspond to capital gains. For instance, depreciation recapture will not qualify for the favorable tax benefits. A real estate investor’s basis in investing in an O-Fund is increased from zero to 10 percent for investments held for five years, and another five percent for investments held for seven years, given these dates are before Dec. 31, 2026. This can effectively reduce the tax by up to 15 percent. Additionally, the basis is also increased by the amount of gain recognized on that date. If the value of the investment decreases, the investor recognizes a smaller amount, based on the value of the investment on the date of recognition. The investor’s basis in its investment is increased to fair market value for sales or transfers of the investment in the Opportunity Fund after 10 years, or until Dec. 31, 2047. Under current law, this exclusion only applies to gains accrued after an investment has been made in an Opportunity Fund. 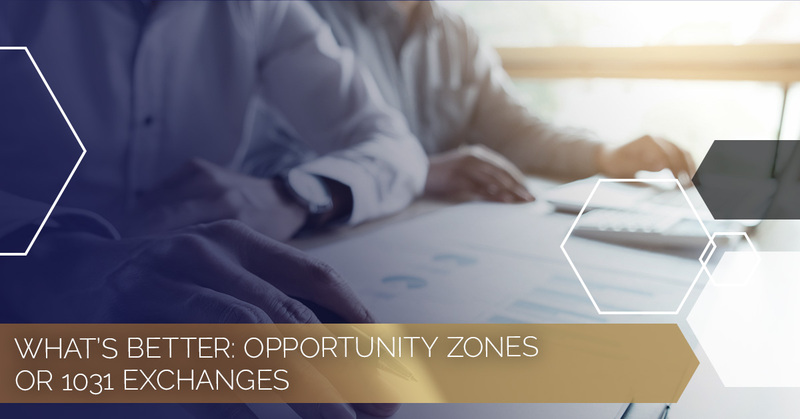 According to Regulations, both short- and long-term capital gains arising from an unrelated party transaction can be rolled into Qualified Opportunity Zones Funds and be eligible for the O-Zone tax incentives. More specifically, an eligible gain is defined as any gain treated as a capital gain for federal income tax purposes that would be recognized for tax purposes prior to January 1, 2027, if not deferred under the terms of the O-Zone Incentives. Keep in mind, ordinary gain is not eligible to qualify for these incentives. O-Zone Incentives require investors to roll their capital gains into a Qualified O-Zone Fund within 180 days of the recognition of the capital gains for federal income tax purposes. For partnerships investing gains into these funds, the 180 day period begins on the last day of the partnership’s taxable year. For publicly traded stock, the time period begins on the date of the trade, and for REIT undistributed capital gain, the period begins on the last day of the REIT’s taxable year. And finally, for REIT capital gain dividends, the period begins when the dividend is paid. Equity interests held in Qualified Opportunity Funds are the only permissible investments. In addition to common stock, membership interests and partnership interests, eligible equity investments in Qualified Opportunity Funds can include preferred stock in a corporation, profits interests in a partnership or LLC, or LLC or partnership interests with special allocations. Even though a QOZ Fund or QOZ Business may acquire debt, the use of debt as an investment in a QOZ Fund is not eligible for O-Zone Incentives. QOZ Funds investments that are eligible for these incentives may only be acquired for cash. 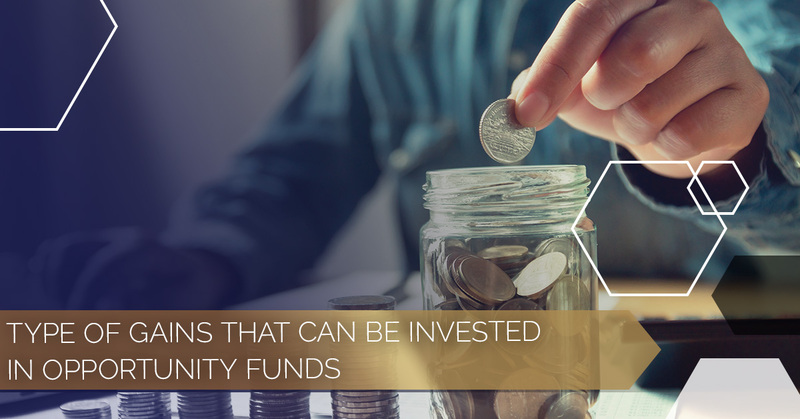 However, those investing in QOZ Funds can use their equity interest as collateral for a loan without adversely affecting the eligibility to prolong capital gains that are invested in the Fund. The tax benefits of Section 1031 Exchanges and investments in Qualified Opportunity Funds share many similarities. However, they do have their differences in both their tax treatment and rules around where capital gains may derive from. For a QOFs, the investor may defer the tax on the gain from the sale of the previous property until either of the sale of the property or December 31, 2026, whichever comes first. With O-Zones, you are eligible to postponing taxes on any depreciation you take, unlike 1031 Exchanges, where you may have to pay a depreciation recapture if you choose to withdraw from the 1031 early. With Opportunity Zone investments there is more creative use of capital, while with 1031s the initial investment is locked in along with the capital gains attained over the duration of the investment. With O-Zone investments, you can take your initial investment out and do with it as you please — spend it or invest it, you can rest easy knowing that your gains have been invested in a fund that will receive some great tax advantages. 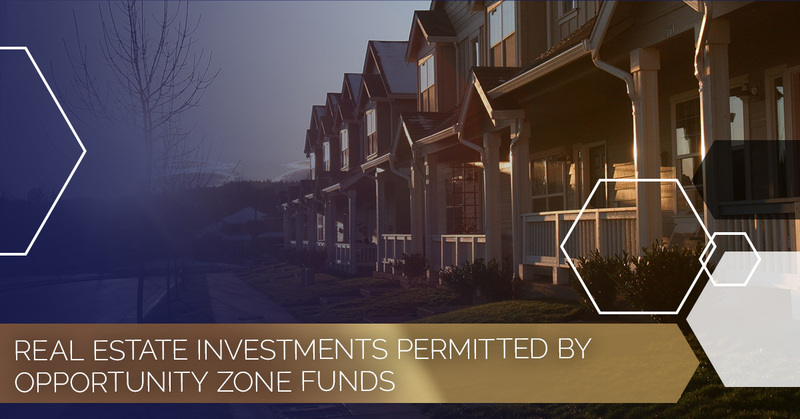 Besides the businesses that are prohibited by the O-Zone Incentives, there are really no limitations in the regulations regarding the types or size of the tangible real estate assets that may be owned or invested in by QOZ Funds. Consequently, residential, multifamily, office, industrial and hospitality assets are permissible tangible real estate investments. To set up an Opportunity Zone Fund, there are a few things that first must be completed, including. Form An Entity. In order to comply with the tax code and IRS requirements, you first need to form a partnership, LLC, or corporation. Invest in Your Entity. An equity investment in your O-fund must be made with an amount that is less than or equal to a recent capital gain, and receive back a partnership or LLC interest or stock. Invest Entity in O-Zone Businesses or Business Property. 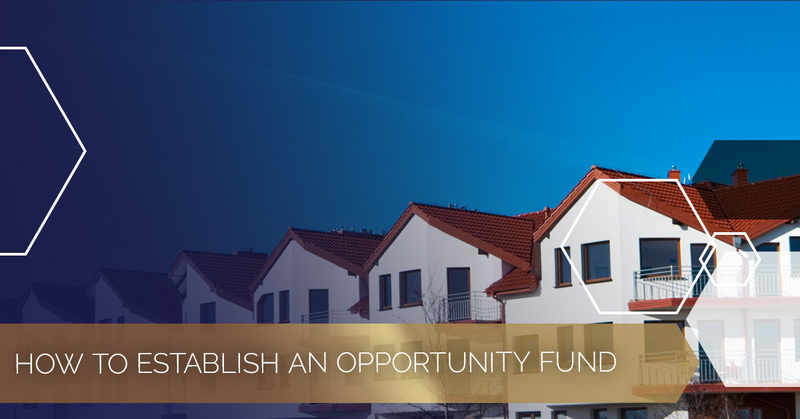 An O-Fund must be invested, either directly or indirectly, in opportunity zone business property in accordance with specified timetables. Self-Certify Your QOZ Fund. 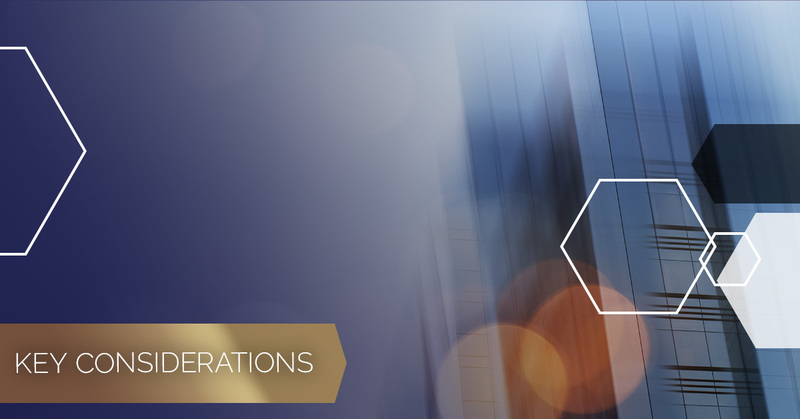 A QOZ Fund must self-certify that it meets the requirements of the OZ Incentives. Doing so requires a draft self-certification form for the initial al self-certification by a Qualified Opportunity Zone. Neither the Opportunity Zone Incentives nor the Regulations include a constraint on using a pre-existing entity as a QOZ Fund as long as the entity requirements are met. As part of the self-certification process on the Self Certification Form, the date that the pre-existing entity becomes a QOZ Fund must be provided. Since entities are permitted to identify the year in which it becomes a QOZ Fund on the Self Certification Form, any entities that were formed prior to the issuing of the Guidance and that satisfy entity Requirements are eligible to become QOZ Funds. However, remember that only funds invested in QOZ Funds after the month in which the self-certification are in effect will be eligible for the OZ Incentives. 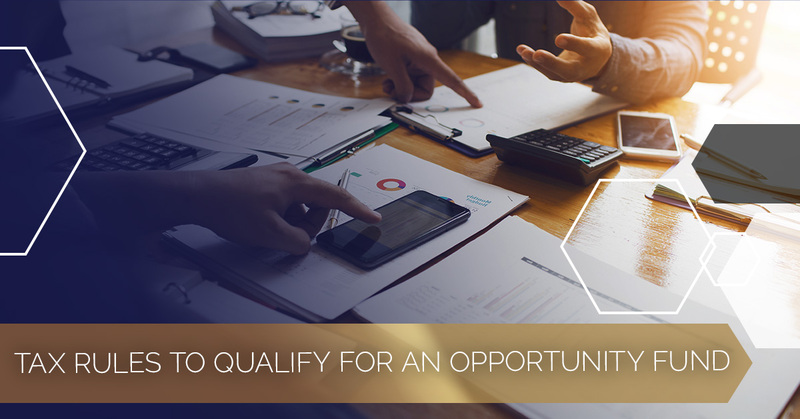 In order to qualify for an Opportunity Fund, there are certain tax rules that must first be met. Below is an overview of the required tax rules to qualify for an O-Fund. Regardless of whether the direct or indirect structure is used, the only assets that can be qualified are those that were acquired after 2017 from at least 80 percent unrelated sellers. In other words, selling property that was owned prior to 2018 to an O-Fund, of which more than 20 percent is owned, will not qualify for O-Zone benefits. There are six-month and year-end testing dates to assure that 90 percent of the O-Fund’s assets are qualified opportunity zone business property. 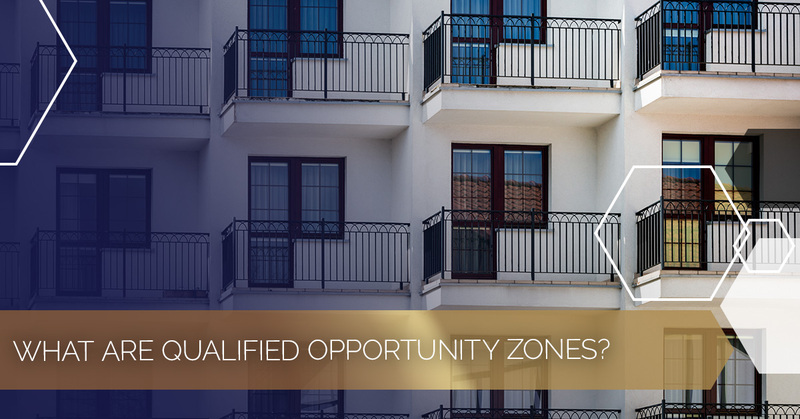 In order to qualify as a QOZ Fund, at least 90 percent of its assets must aggregate qualified Opportunity Zone Business Property, which can include an investment in a QOZ Business that has ownership or a direct investment in such property. An Opportunity Zone business can be owned directly or indirectly, and the rules applicable to these two basic structures are both technical and seemingly arbitrary. As far as direct ownership goes, it’s important to add up any directly owned tangible assets of an entity, plus its interest in subsidiary entities, and these must exceed 90 percent of all of its assets. 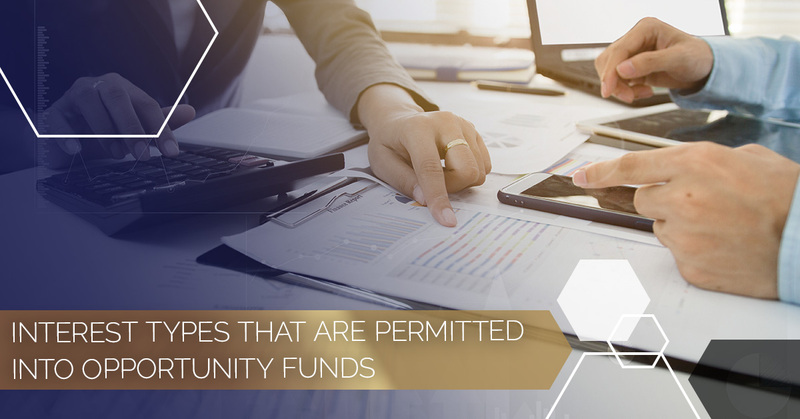 Businesses operated at the O-Fund level do not necessarily have to be active to qualify, and there is no limit on the ability of an O-Fund to own financial property, besides the basic requirement to have 90 percent of the entity’s assets qualified. Indirect ownership, on the other hand, subsidiary entities are tested to assure that they pass additional tests, some of which are easier than the tests that apply to direct ownership by the O-Fund, and some of which are more challenging. In order for the entire interest in the entity to count towards the O-Fund passing the 90 percent test, only 70 percent of the subsidiary entity’s tangible assets must be qualified as enterprise zone business assets. It is important to remember, that at least 50 percent of the subsidiary entity’s income must come from the oversight of an active trade or business in the O-Zone. a written plan for how it will spend its capital (including cash on hand) that specifies that its capital is designated for the acquisition, construction, or substantial improvement of property in an opportunity zone. The working capital must be utilized by the QOZ Business in a manner that is consistent with these requirements. The Regulations do not provide further information about how detailed this written “safe harbor” plan must be. To take advantage of this timing safe harbor, QOZ Funds that are invested into real estate assets should consider investing through an entity that complements a QOZ Business and that would have direct ownership of the real estate assets. The tax code specifies that if an O-fund fails to meet the 90 percent requirement, it is subject to a penalty at the IRS’s “underpayment rate,” currently five percent. However, this penalty can be avoided if the failure is due to reasonable cause. Real property asset owners that plan to sell those assets to a QOZ Fund or QOZ Business and then reinvest the capital gains from that sale into that purchasing QOZ Fund should take caution — there are prohibitions on related party transactions. Owing to the technical timing rules that put severe burdens on the investor and the O-Fund to make their respective investments quickly, it seems that the best strategy is for an investor to find a potential project or business first, and then sell the property to generate a capital gain and start the clock running. As you can see, there is a lot that goes into Qualified Opportunity Zones. In order for real estate investors to establish an O-Fund, it is best to work with a CPA experienced in real estate tax planning. For more information about real estate taxes, contact the professional CPAs at Camuso CPA. For up-to-date news and helpful resources, be sure to sign up for our newsletter!